Mobile networks employing 5G are expected to become widely available globally during 2020, although as part of a wider European push (https://is.gd/gacase), the UK’s first city to be made 5G-enabled will be announced this summer, winning government cash backing into the bargain. However, mobile operator EE will switch on the UK’s first live 5G trial network in East London in October, while Telefonica UK is to build a 5G test bed at The O2 that will go live later this year. According to the EU Commission’s 5G for Europe: An Action Plan document: “5G is seen as a game changer, enabling industrial transformations through wireless broadband services provided at gigabit speeds.” And Qualcomm explains that while local area networks based on ethernet, WiFi and LTE (4G mobile) are already used in industrial applications, 5G allows users to “configure the network to exactly the performance it requires”, adding “industrial networks can be designed and optimised for real-time performance, extreme reliability and availability, and for stringent privacy and security restrictions”. Qualcomm is a world leader in 3G and next-generation mobile technologies. On an environmental note, there’s a 90% reduction in network energy usage on offer with 5G; 40% of network operating costs are pure energy, according to mobile operator representative body GSMA. This year’s Mobile World Congress (MWC), held in March, was abuzz with 5G chatter. Part of its seminar programme took in a 5G summit, with it heralding the technology thus: “5G is fast approaching and it will have a profound impact on almost every industry around the world.” And mobile technology firm Ericsson says that real-time automation has a revenue potential of $101 billion by 2026. It also adds that by 2023, 5G will make up around one-fifth of all mobile data traffic, with subscription uptake forecast to reach one billion. Already, at MWC 2017, Kuka (https://is.gd/aregis) and China’s Huawei X Labs showed robots employing 5G. A live demonstration showed a pair of robot arms performing dancing and drumming in precise synchronisation and collaboration. According to Kuka, the 5G live demonstration highlighted some of the capabilities offered by the technology, achieving latency as low as 1 ms with 1 μs clock synchronisation and 99.999% reliability. “5G cellular wireless technology will enable Kuka to provide robot-based production systems with even more flexibility through wireless machine-to-machine and machine-to-cloud communication,” said Stefan Lampa, CEO of Kuka Robotics. Later in 2017, Huawei Wireless X Labs got together with industry partners to establish a Wireless Connected Factory Special Interest Group (SIG). Those partners included ABB, Bosch, Beckhoff and Kuka. 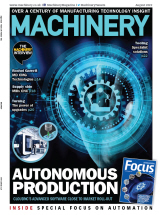 In our March issue, we reported that Huawei and Festo (https://is.gd/ujahuh) are jointly exploring 5G network applications in manufacturing and promote the digital transformation of the industry. Also in 2017, ABB (https://is.gd/wemise) partnered with Ericsson to establish a joint 5G industrial innovation lab. The lab, physically located at ABB’s premises in Västerås, Sweden, will be equipped with infrastructure and network services from Ericsson, including connection to the company’s 5G virtualised core network, edge computing (local/distributed cloud), network slicing (allows multiple virtual networks to be created on top of a common shared physical infrastructure) and Ericsson’s IoT accelerator platform. Projects in areas such as process, factory automation and robotics are planned. GSMA, the body that represents the interests of mobile operators worldwide, is a booster for this more local data processing. Says its CTO, Alex Sinclair: “If you’re doing simultaneous real-time translation in the cloud, you need to be able to control latency and jitter. If you can’t do that, when you speak, it’s going to take a while before it comes out, so that’s where you need to push something closer to the edge. Latest big news from the manufacturing technology sector comes from Taiwanese machine tool giant FFG Group and fellow Taiwanese firm Adlink. Represented in the UK by MT Squared (https://is.gd/fefove), FFG has partnered with the Taiwan-headquartered global leader in edge computing to develop and apply the new ROS2 (Robot Operating System). Adlink and FFG previously participated in EU research project Clear5G (http://clear5g.eu), which involved Toshiba’s UK business unit and University of Surrey. According to Adlink, ROS2 will provide system architecture enabling real-time control and reliable communication. It provides high efficiency middleware for data exchange and is quickly becoming the API standard for smart robotics development. In this latest effort, Adlink will incorporate AI technologies to develop robot controllers with vision, detection, precision control and real-time communication capabilities as open source tools, thereby allowing standardisation of ROS2 as a common platform for mobile robots. Adlink looks to introduce more than 200 innovative smart robotics products by 2025, with this “further consolidating Taiwan’s position of global leadership in the field”. Apart from all this forward-looking activity, there is already a real-world European example of 5G in action in manufacturing. Ericsson and Germany’s Fraunhofer Institute for Production Technology (see also box below) teamed up to explore and develop industrial applications of 5G, with the first use case being the production of blisks for MTU Aero Engines. This is Ericsson’s first published tangible 5G/manufacturing case study, in fact. Today, there is no satisfactory way to monitor and correct the milling process while underway, and the machined end result is revealed only when the entire process is completed. Ericsson adds that rework after machining is often as high as 25% and goes on to say that milling issues, such as vibration patterns affecting the end result, could be revealed by monitoring the process in real time. 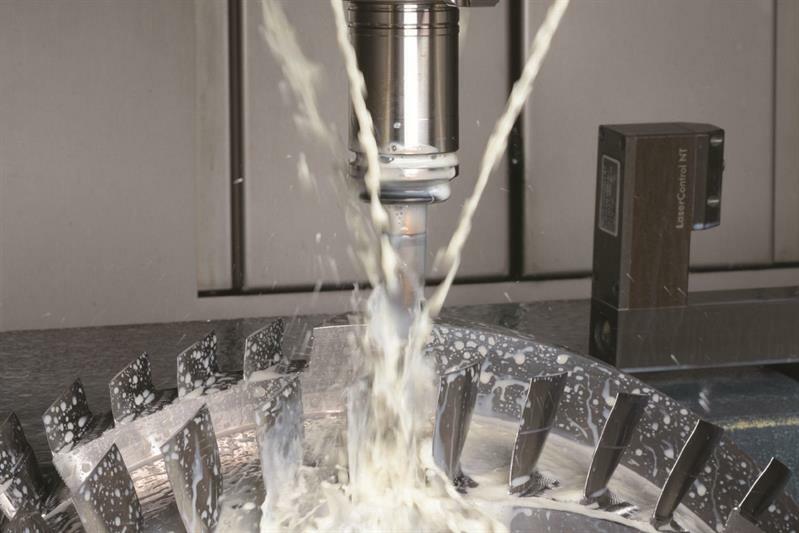 This data could then be used to instantly optimise the milling process, limiting the need for rework. The continuous real-time data transfer over 5G also allows the generation of a digital twin, a virtual reflection of the component to be generated, showing the details of the process results, Ericsson offers. The 5G-enabled blisk case alone can save approximately €27 million for one single factory, and up to €360 million globally, according to the latest Ericsson Consumer and Industry Lab Business Value Report. From a sustainability perspective, CO2 emissions from both the production of blisks and their operation in jet engines can be reduced by some 16 million tons annually, on a global basis, it is claimed.